Discussion in 'Mapping Questions & Discussion' started by soylent robot, Aug 31, 2010. Problem #1: My info_particle_systems seem to duplicate themselves. Behold! See around the smokestacks there are some floating fires? They shouldnt be there. There are two info_particle_systems in my skybox, but for some reason there are four in game. Yes, i deleted the sky camera that isnt in the skybox itself. Problem #2: What are those camera entities called? 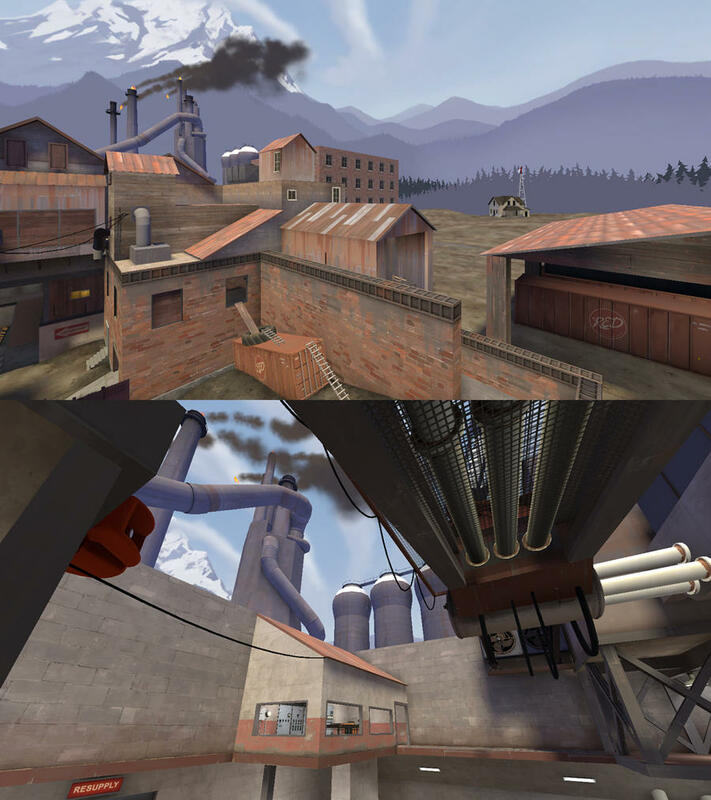 There's one that shows the map for players joining the server, and another that shows the current capture point for those waiting to respawn. I cant remember what theyre called! 1, I dunno. 2 is "info_observer_point"